We’re extremely pleased with the overwhelming success of this year’s event, which will benefit several area non-profit organizations as they look to improve the lives of others. 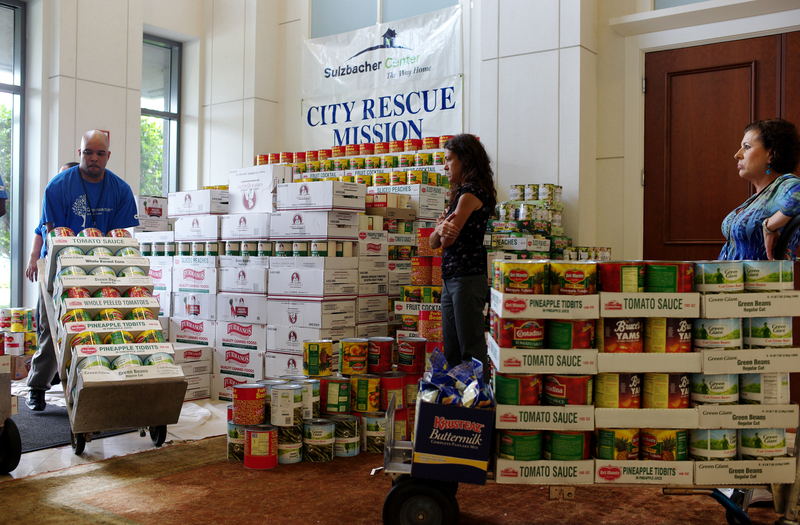 The continued generosity of our employees is a testament to how each of us can make an impact on our community. JACKSONVILLE, Fla.--(BUSINESS WIRE)--CIT Group Inc. (NYSE: CIT) cit.com, a leading provider of financing to small businesses and middle market companies, today announced that its Jacksonville-area employees collected nearly 19 tons (37,800 pounds) of food during its 7th Annual Employee Food Drive, bringing its seven year total to more than 87.5 tons (175,000 pounds) collected. CIT employees collected food and toiletry items for several area organizations including: City Rescue Mission (CRM), which provides help to the homeless and needy in Jacksonville and Northeast Florida; theSulzbacher Center, which provides comprehensive services street outreach, daily meals, safe shelter, case management support, job placement assistance, medical, dental, and mental health care to the homeless in Jacksonville; the Florida School for the Deaf and the Blind, a state public school located in St. Augustine that is available at no cost to individuals who are deaf/hard of hearing, or blind/visually impaired, and theMandarin Food Bank, which provides emergency food and clothing to those in need in the Mandarin community in Jacksonville. Cindy Brueckner, Volunteer Coordinator at the Florida School for the Deaf and the Blind (FSBD), added, “We would like to thank CIT and its employees for their efforts to collect toiletries for our boarding students who reside on our campus Monday through Friday during the academic year. Over 70% of our students come from low-income families and receive some form of government assistance, and although we receive state funding for the educational needs of our students their personal hygiene needs are not funded. The students, staff and Board of Trustees at FSDB are grateful to be part of CIT's 7th Annual Employee Food Drive."